A major upcoming event just for you! 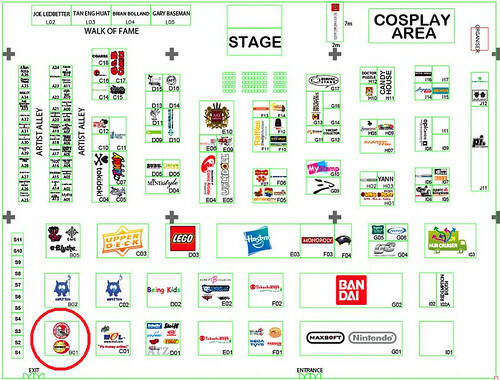 For those coming, the 501st Legion booth is at B01 near the exit (see map above). 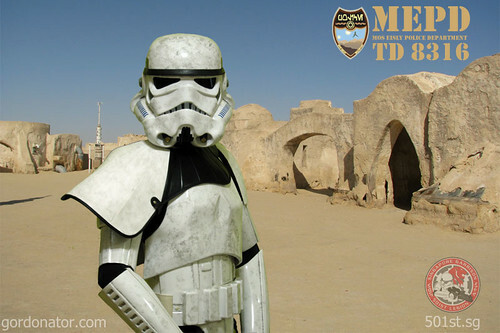 We have a photobooth as well whereby you may pay a small fee to have your picture taken professional with our troopers. All proceeds will go to the Make-A-Wish-Foundation (Singapore). We will be playing Droid Hunt as well. So do drop by our booth for more details and sign up for the game in which you stand to win prizes. what’s a pauldron though it says on wikipedia it’s a plate armour. but then again, aren’t all stormtroopers plate armour white? Pleasure was all mine bro! I’ll be there over the weekend. Will probably be with TP, unless he decides to go up north. Oh well, hoping to meet you some other time then. Great job to the entire 501st, was very impressed! I didn’t meet you in person that event. On opening night I actually went to the booth to ask for you but the woman there told us that you were changing. Too bad man. Why are you so dirty? which day and time u came?